Writer and wine columnist John Schreiner is Canada's most prolific author of books on wine. In the spirit of Noah’s Ark, I am presenting two pairs of wines from the Okanagan Falls appellation. The varietal pairings, if we were in Europe, would not be from the same appellation and perhaps not even from the same country. Wine growers in the Okanagan are blessed to be able to grow about 100 different varieties, often in vineyards that are a stone’s throw apart. This is a case in point. The distance between Blue Mountain Vineyards & Cellars and Stag’s Hollow Winery & Vineyard is less than five kilometers. The former winery is dedicated to Burgundian varieties while the latter has a long history with Bordeaux varieties. Both wineries do a good job with their grapes. At Blue Mountain, the Mavety family has farmed that vineyard since 1972. They began specializing in Pinot Noir and other Burgundian varieties about 1986. The current releases are both from 2016, a very good vintage in the Okanagan, especially for white wines. The whites invariably show bright, refreshing acidity. 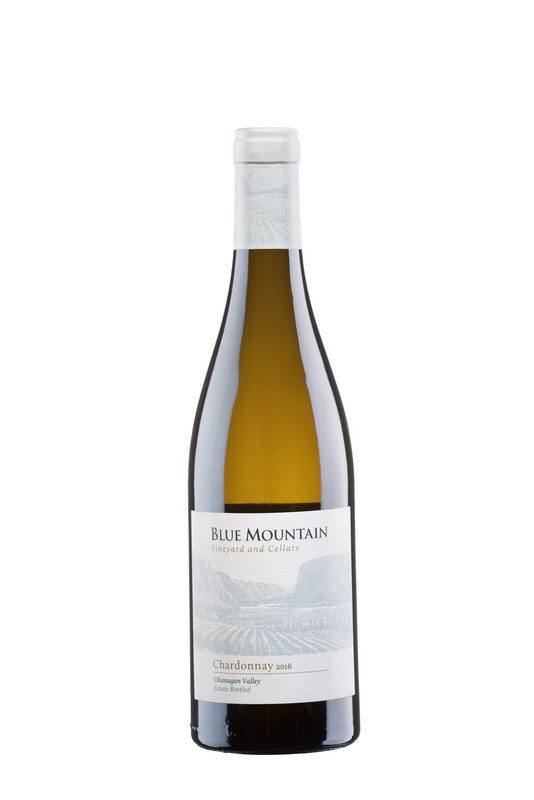 Blue Mountain’s 2016 Chardonnay is one of the best from that vintage – a wine with intense flavours, showcasing the fruit. The price caught me a bit by surprise – not because it is high but because is just $21 a bottle. Blue Mountain has generally held the line on prices for some time. It is something you can afford to do when the mortgage was paid off long ago, and when the winery is run by a family. The other release is Blue Mountain’s popular 2016 Gamay Noir. The variety is sometimes regarded as the junior red grape in Burgundy, so junior that various dukes of Burgundy tried to have it banished entirely, without success. Blue Mountain, by championing Gamay Noir, solidified the variety’s place in the Okanagan and the Similkameen. Of the top of my mind, I can think of at least six other producers where Gamay also flourishes now: Robin Ridge, Platinum Bench, Desert Hills, Deep Roots, JoieFarm and Hillside Cellars. Stag’s Hollow is unlikely to move to total estate production. Dwight Sick, the winemaker, also likes to make wines with Syrah and Grenache. These are among the few varieties not suited to the Okanagan Falls terroir. The current trio of releases from Stag’s Hollow includes a Syrah produced with grapes from two vineyards on the Osoyoos East Bench. The wine is not reviewed here because my sample bottle seemed to have an issue and a second bottle was not immediately available. I expect the second bottle will impress, as have previous Syrah vintages from Stag’s Hollow. Here are notes on all four wines. Blue Mountain Chardonnay 2016 ($21). The wine delivers excellently focussed fruit, with aromas of citrus mingled ever so gently with butter and vanilla. On the palate, there are flavours of citrus and apples supported very subtly by oak. Seventy percent of the wine was fermented and aged 10 months in oak (new to three years old). By aging the wine on the lees, the winery has achieved a rich texture with a long, lingering finish. Only 10% of the wine went through malolactic fermentation, leaving a wine that is bright and fresh on the palate. 92. Blue Mountain Gamay Noir 2016 ($23). The winery has enviably mature Gamay vines, ranging from nine to 27 years old, which shows in the concentration and length of this wine. The grapes were macerated for 20 days, extracting more flavour and texture. Fermentation was with wild yeast. The wine was aged 16 months in five-year-old French oak barrels as well as in two 500 litre oak puncheons. The result is a wine with a velvet texture. The aromas begin with notes of cherry. On the palate, there are flavours of cherry and blackberry. On the finish, there are notes of both mocha and spice. 90. Stag’s Hollow Renaissance Merlot 2015 ($35). The grapes – 95% Merlot, 5% Cabernet Sauvignon – are from the winery’s estate vineyard, where Merlot has been grown for more than 25 years. Half the berries were left whole and went uncrushed into the fermenters. The wine was fermented in French oak barrels where it was aged 15 months. The wine announces itself dramatically with aromas of cassis, cherry, blueberry and cedar. On the palate, there are flavours of black cherry, black currant, tobacco and dark chocolate. The firm texture demands the wine be decanted if you do not take the winery’s advice and cellar it for the next two to seven years. 92. Stag’s Hollow Renaissance Meritage 2015 ($43.50). It has been 10 years since the winery has released a Meritage. The wine is made only when the vintage is exceptional. This is 76% Merlot, 13% Cabernet Sauvignon and 11% Cabernet Franc, all from the estate vineyard. The grapes were co-fermented and aged 18 months on French oak. The resulting wine is generous on the palate, with aromas of cassis, black cherry and vanilla followed by a rich medley of dark fruit flavours. The wine has a big, boney structure that will allow long aging. I double-decanted the wine to unlock aromas and flavours. Sit on your bottles at least until 2025. 93. John Schreiner is Canada's most prolific writer of books on wine. Since his first book in 1984, The World of Canadian Wine, he has written 15, including multiple editions of The Wineries of British Columba, British Columbia Wine Country and John Schreiner's Okanagan Wine Tour Guide.